While our members’ annual contributions fund the majority of our day-to-day operations, we are looking for major contributors who will donate significant monies to allow us to expand our collections and pay stipends to our present and future scanning and cataloging staff. Major sponsors are currently acknowledged and thanked for their contribution in two ways. First, they will be listed prominently on our “Society Sponsors” page. Second, they can also select one of the categories on the website's Main News Page where they will be shown as a major sponsor. The Society will place that sponsor’s name and an acknowledgement at the top of each page in that Section. Third, if they are a business, we will rotate a business information banner throughout our entire website’s 5,000 pages. 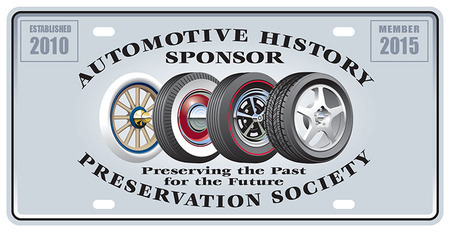 NOTE: Major sponsors must be an Honorary Member or associated with one of the SEMA members or councils. If you are interested in becoming a major sponsor, contact craig.sparkes@ahpsoc.org. If you would like to meet with us and discuss sponsoring opportunities at the Society, we attend each year’s SEMA show in Las Vegas as media representatives for our e-Magazine – No Limits, where we can set up an appointment with you in your booth or in the SEMA Media Center. If you wish to schedule an appointment, contact kurt.shubert@ahpsoc.org .